von Adelsdorf. Von dem katholischen Ortspfarrer erhielt L. Stein Privatunterricht in Latein. Gave a Talmudic Drasha on his Barmizvah day. future rabbis must also acquire secondary and university educations. On the recommendation of Rabbi Loewi of Fürth, Leopold gave a major sermon at the Inauguration of Dietenhofen Synagogue [ Franconia Kreis Ansbach/Mfr)] and drew attention to his capabilities. 1829/30 Schueler des Gymnasium in Bayreuth – das heutige Christian Ernestinum (nach dem Schulgruender im Jahre 1662, Markgraf Christian E. von Brandenburg-Bayreuth, einem fraenkischen Vetter der Berliner Hohenzollern,) benannt. Er wohnte beim (sicher juedischen) Kaufmann Neustaedter, deren Kindern er Privatunterricht gegen Logis und Kost erteilte. Der Jahresbericht 1829/30 ist der einzige, der ihn nennt: also muss er von 1830 bis 1832 auf das Gymnasium in Wuerth gegangen sein. Waere er „normalerweise“ die weiteren 4 (!) Jahrgaenge aufs Gymnasium gegangen, dann haette er 1835 das Abitur erst machen muessen – da schloss er bereits seine Universitaetsstudien in Wuerth ab, begann die Rabbistelle am Obermain in Burgkunstadt/Altkunstadt und hatte die „Ma`alot/Stufengesaenge“ gedichtet und drucken lassen!! Fazit: er muss seine „Luecken“ in aeusserst rascher Zeit voll geschlossen haben, um nach 1832 studieren zu koennen! So – ich hoffe von einem Wuerther Kollegen des Wirsberg Gymnasium bald Antwort auf meine „Stein-Fragen“, erstmals formuliert am 15.XI.2010, fuer die Jahre 1830/32 zu bekommen, um auch hier die „Timeline-Luecken“ endgueltig zu schliessen. Physical Description: 85 pages : Handwritten notebook. Frankfurt am Main. In 1845 Stein presided over the Second Reform Rabbinical Conference (Rabbinerversammlung) in Frankfurt. He also published two newspapers for the Jewish community, including Der israelitische Volkslehrer and Der Freitagabend, and edited the annual Achawa. In addition, Stein continued in his writing, producing not only poetry but also dramatic works and many translations. In 1860 the Orthodox members split from the main Frankfurt community, establishing the Israelitische Religionsgesellschaft. Two years later Stein left his position. Leopold Stein began preaching at the Reform Westend Synagogue in 1866. With the help of his eldest daughter he founded a school for girls, where he taught until leaving in 1873. After retiring from the school, Stein spent his final years concentrating on his writing. Leopold Stein died on December 2, 1882 in Frankfurt am Main. Rabbi Leopold Stein was born on Novermber 5, 1810 in Burgpreppach in Lower Franconia. He decided early in life to become a Talmud teacher and rabbi like his father. At fourteen years of age he began attending the Talmud-Torah school in Fürth. There he became interested in German literature and language, and when the Bavarian government ruled in 1826 that future rabbis must also acquire secondary and university educations, Stein attended the universities of Erlangen and Würzburg. In 1834 his work Stufengesänge was published as part of Stein's candidacy for a theological degree. This volume of poetry contained a reworking of lyrics used in religious services. Stein had already begun to preach in the synagogues on holidays by the time he was eighteen years old. In 1835, at the age of twenty-four, he became rabbi of Burgkundstadt, where he would remain for the next nine years. It was in Burgkundstadt that Stein became acquainted with Friedrich Rückert, who published some poems of Stein's in his almanac. On May 2, 1839 Stein married Eleonore Wertheimer from Mitwitz, the daughter of Sandel Wertheimer and Getta Wertheimer née Künstler. Together they had seven children. NB - This is a large file at the Leo Baeck Institute Digital Library - it takes some time to load!! Leopold Stein ehe seiner Amtszeit als Rabbiner jüdischen Gemeinde Frankfurt am Main gab seine erste Predigt im Andachtssaal des Philanthropin (jüdische Schule)in dem er ueber Reform sprach. Stufengesänge , Gedichte was published as part of Stein's candidacy for a theological degree. 2 Predigten im Andachtssaal des Philanthropin zu Frankfurt a.M. 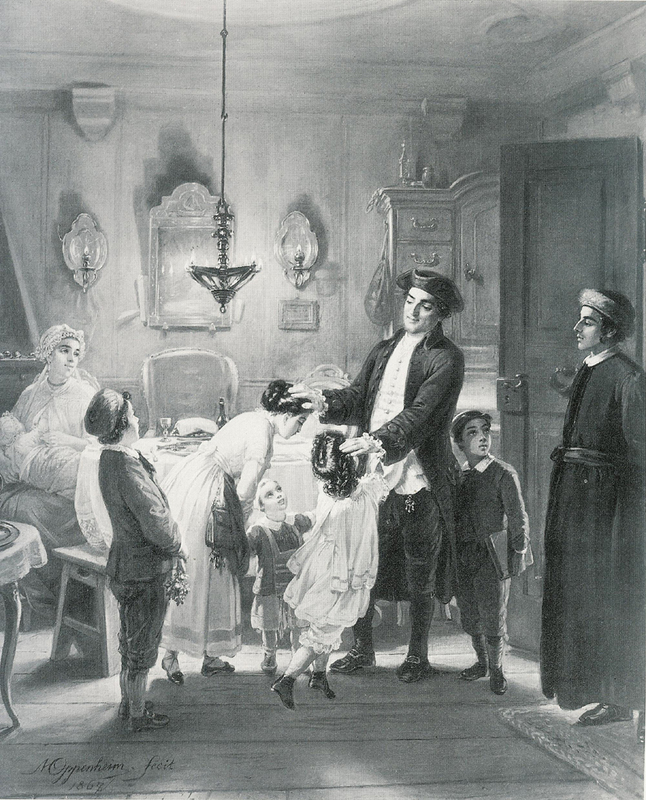 Became rabbi of Burg and Altenkunstadt (Franconia). Congregation of approx. 400 in Altenkunstadt, 400 in Burgkunstadt, about 200 in the smaller villages (Fassoldshof/Mainroth/Horb a.M.), ie about 1000 in all. Became Distriktrabbiner rabbi of Burgkunstadt, Altenkunstadt and a number of other communities along the Obermain 9nowadays known as Kreis Lichtenfels, Oberfranken).. Congregation numbered about 1000. Became acquainted with Friedrich Rückert, who published some poems of Stein's in his almanacs. Verlobungsvertrag vom Juni 1838 Poem "Die Maedchenjahre"
"Maoz Zur" "Rock of Ages" translated into German. Words: By “Mor­de­cai,” 14th Century; translated from Hebrew to German by Leopold Stein (1810-1882); trans­lat­ed from Ger­man to English by Marcus Jastrow (1829-1903) and bio ("Gustav Gottheil","g/o/gottheil_g") Gustav Gottheil (1827-1903). Arrested in Germany, the Reform movement was carried forward in America. The German immigrants from 1840 to 1850 happened to be to a certain extent composed of pupils of Leopold Stein and Joseph Aub. These were among the first in New York (Temple Emanu-El), in Baltimore (Har Sinai), and in Cincinnati (B'ne Yeshurun) to insist upon the modernization of the services. The coming of David Einhorn, Samuel Adler, and, later, Samuel Hirsch gave to the Reform cause additional impetus, while even men of more conservative temperament, like Hübsch, Jastrow, and Szold, adopted in the main Reform principles, though in practise they continued along somewhat less radical lines. Isaac M. Wise and Lilienthal, too, cast their influence in favor of Reform. Felsenthal and K. Kohler, and among American-bred rabbis Hirsch, Sale, Philipson, and Shulman may be mentioned among its exponents. The Philadelphia conference (1869) and that at Pittsburg (1885) promulgated the principles which to a certain extent are basic to the practise and teachings of American Reform congregations. HAGADA ODER ODER ERZÄHLUNG VOM AUSZUGE AUS AEGYPTEN DEUTSCH BEARBEITET UND MIT NEUEN LIEDERN VERMEHRT VON LEOPOLD STEIN. Frankfurt am Main: J. S. Adler, 1841. 74 pages. In German and Hebrew (Dual Language). Contains sheet music on fold-out sheets. Leopold Stein, German Reform rabbi; born in Burgpreppach Nov. 3, 1810; died at Frankfort-on-the-Main Dec. 2, 1882. After finishing his earlier education at Erlangen and Bayreuth, he attended (1830) the University of Würzburg. In 1833 he delivered his first sermon in Frankfort, in which he pleaded for the introduction of reforms; two years later he became rabbi of Burg and Altenkunstadt (Franconia) ; and from 1844 to 1862, when he withdrew from public life, he was rabbi at Frankfort-on-the-Main. He was especially prominent as one of the leaders of the Reform movement. 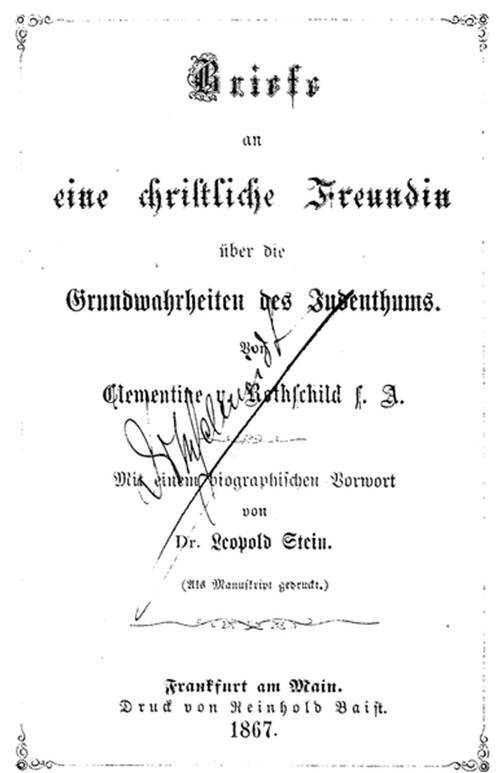 With Dr. Süsskind, Stein was editor of "Der Israelitische Volkslehrer" (1860-69) ; he edited also the yearbook "Achawa, " published by the Lehrerverein. 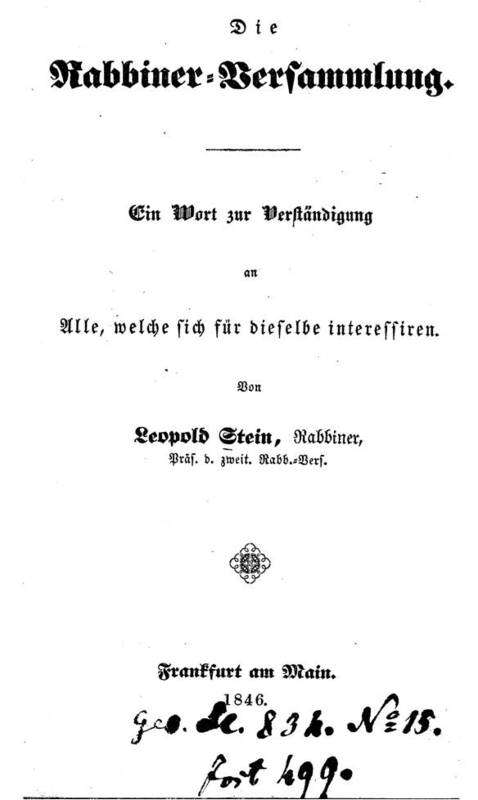 His works include the following: "Stufengesänge, " poems, Würzburg, 1834; "Gebete und Gesänge zum Gebrauche bei der Oeffentlichen Andacht, " Erlangen, 1840; "Koheleth, " Frankfort-on-the-Main, 1846; "Die Rabbiner-Versammlung: ein Wort zur Verständigung, " ib. 1846; "Der Eid More Judaico, " ib. 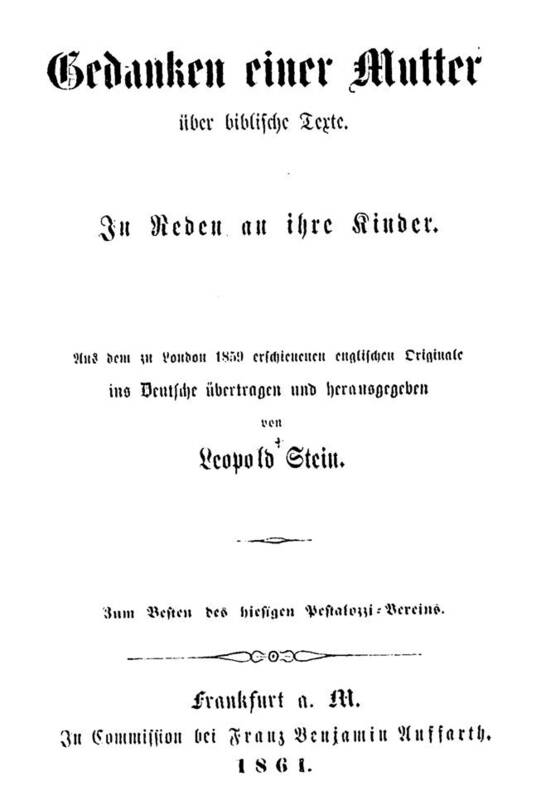 1847; "Lehre und Gebot, " ib. 1858; "Die Hasmonäer, ib. 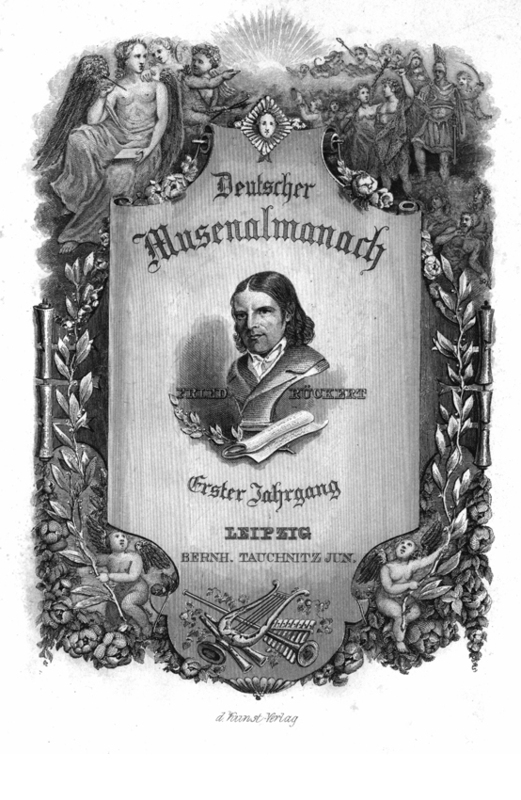 1859 [later Jacques François Fromental Élie Halévy will compose the music] ; "Gebetbuch für Israelitische Gemeinden: nach dem Ritus der Haupt-Synagoge zu Frankfurt-am-Main, " ib. 1860; "Mein Dienstverhältniss zum Israelitischen Gemeindevorstande zu Frankfurt-am-Main, Actenmässig zur Begründung Meiner Amtsniederlegung Dargestellt, " ib. 1861; "Haus Ehrlich, " a drama in five acts, Leipsic, 1863 (performed at Mannheim) ; "Der Knabenraub von Karpentras, " Berlin 1863; "Sinai, die Worte des Ewigen Bundes, " a didactic poem, Frankfort-on- the-Main, 1868; "Die Schrift des Lebens, " the contents of the Jewish religion, ib. 1868; "Torath-Chajim, " the Jewish religious law, Strasburg, 1877; "Der Geklärte Judenspiegel, " 1882. (Allgemeine Zeitung des Judenthums, Sept. 4 and 11, 1903; JE). Contract, engineered by Baron Amschel Mayer vonRothschild [who opposed the Reform tendencies] signed by which (Para 6) the assistant Rabbi must be a Persona Grata to the Chief Rabbi. Stein agrees written examination, but refuses an oral one. The Frankfurt Senat gives Stein a Dispensation from the Oral examination. Chief Rabbi Trier resigns and declines his salary [he died 1846]. Rothschilds announce 250000 Gulden for the building of a new Main Synagogue because of breach of contract by the Congregation. Genehmigung für die Fam. des Rabbis zur Auswanderung nach Ffm. Stein installs an Organ into the old Synagogue of Frankfurt - a clear signal of change. The Reform society passed out of public notice soon after the election, in March, 1844, of Leopold Stein, a rabbi of Reform tendencies, as associate to Rabbi Salomon Abraham Trier. This appointment was very distasteful to the older rabbi, who refused to acquiesce in the choice of an associate of the new school. He protested to the senate of the city against the election, and the senate referred him to the directorate of the congregation. Trier resigned as rabbi (24 May, 1844). and Stein began to introduce moderate reforms. 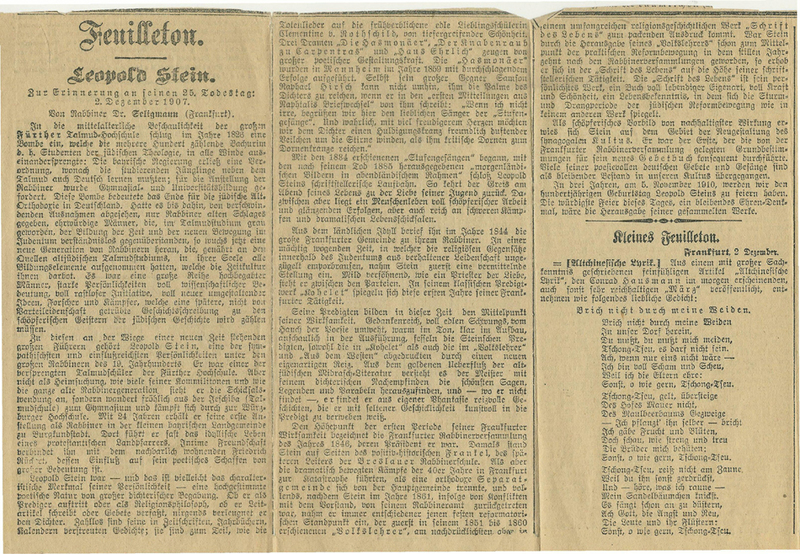 also published two newspapers for the Jewish community, including Der israelitische Volkslehrer and Der Freitagabend, and edited the annual Achawa. In addition, Stein continued in his writing, producing not only poetry but also dramatic works and many translations. His translations of Hebrew religious services into German culminated in the creation of a two-volume prayerbook used in services not only in Frankfurt, but also in Dresden and Augsburg. introduces 3-year cycles for Torah reading, translations of prayers into German, discontinuing of "old-fashioned" prayers, Laymen sermons, introduction of Choir and Organ music into the synagogue, and reform of the educational curiculum. Father Abraham dies on 28 July in Adelsdorf, aged 90. Rabbi Stein und die deutsche Revolution 1848. Beteiligt sich als Demokrat an der "grossen deutschen revolutionären Bewegung" die zum ersten frei gewaehlten deutschen Parlament führte, mit der Eröffnung der Nationalversammlung am 21.V. in der Frankfurter Paulskirche. Leopold Stein hielt am 21. Mai 1848 in der Homburger Synagoge folgende Predigt: "Predigt, vorgetragen bei dem am 21. Mai zur Feier der Eröffnung der deutschen constituirenden National-Versammlungin der Synagoge zu Homburg abgehaltenen Gottesdienste, Homburg 1848". zu Leopold Stein (* 05.11.1810 Burgpreppach/Unterfranken + 02.12.1882 Frankfurt am Main), der am 02.05.1839 in Oberlangenstadt mit Leonore Wertheimer (* 26.11.1820 Mitwitz) getraut wurde, ist eine Akte wegen Erlangung des israelitischen Bürgerrechts vorhanden (Senatssupplikation 444/30). In dieser Akte werden die Kinder Siegmund Theodor (* 02.04.1840), Dorothea Caroline (* 12.03.1841), Franziska (* 23.02.1842) und Isaac Leopold (* 12.06.1843) genannt. Eine Nennung der Geburtsorte findet sich in dieser Akte nicht. Nach dem Zuzug nach Frankfurt werden in den Geburtsbüchern der Stadt bis 1850 drei weitere Kinder aufgeführt. Es handelt sich um die am 10.09.1844 geborene Tochter Isabella (Geburtsbuch 84, S. 467), den am 15.04.1846 geborenen Sohn Leonhard Louis (Geburtsbuch 86, S. 193) und die am 18.07.1850 geborene Tochter Louise Wilhelmine (Geburtsbuch 90, S. 400). 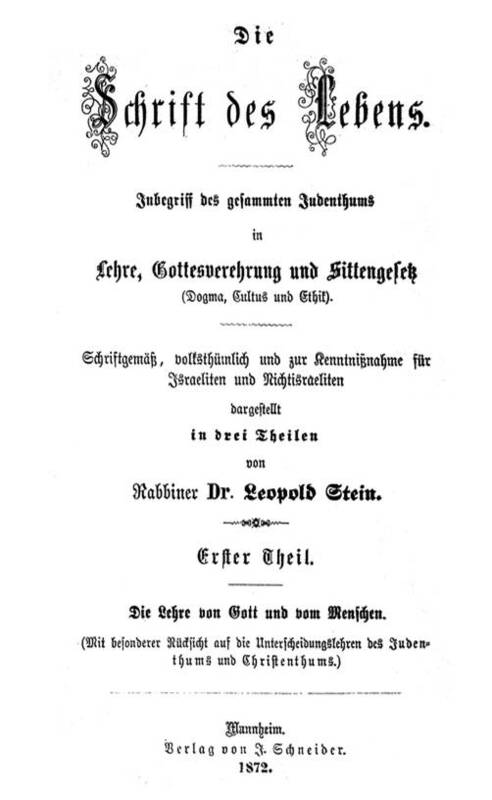 CALL To the Jewish Religious Communities of GermanyvFOR SYNOD BY DR. JACOB AUERBACH, LEOPOLD BEER, DR. FORMSTECHER, MOSES B. GOLDSMIDTH, DR. J. M. JOST, LOUIS LOTMAR, RABBI LEOPOLD STEIN, DR. JACOB WEIL IN 1849. The Orthodox members split from the main Frankfurt community, establishing the Israelitische Religionsgesellschaft which continued till 1939. 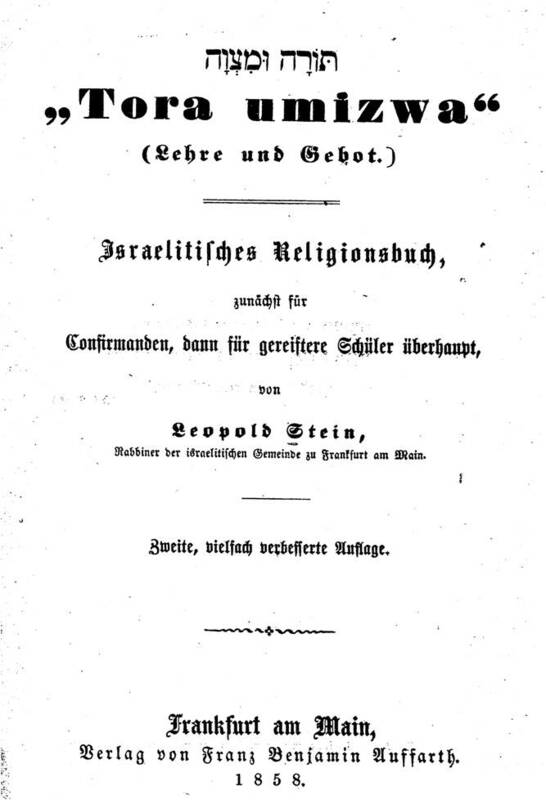 1851 till - 1860 together with Dr. Süsskind, Stein was editor of "Der Israelitische Volkslehrer". he edited also the yearbook "Achawa " published by the Lehrerverein. Was ist das Wesen des Christlichen Staates? Three such conferences in South Germany took place under Stein's leadership: in Wiesbaden (1854), Giessen (1855), Frankfurt (1857). At the fist conference Stein announced that he hoped the participants, and especially his neighbouring colleagues, would join him in the task of preparing a new prayerbook for the synagogue in Frankfurt then under construction. The conference concurred with Stein's concerns and decided to make the development of a common liturgy a matter of the highest proiority. Indeed the next conference decvooted an extensive ampunt of time to the Frankfurt prayerbook. ( from Robert Liberles z"l "The Rabbinical Conferences of the 1850's and the Quest for Liturgical Unity"
Der Autograph des Komponisten zu Steins Drama „Die Hasmonäer“ aus der Badischen Staatsbibliothek Karlsruhe Überschrieben mit „Ouverture, Marsch, Chöre und Melodramen zu dem Trauerspiel die Makkabäer (sic!) v. Vinzent Lachner Componiert zu Mannheim im Apr. 1856“ darüber in der Handschrift des Mittelamerika-Auswanderers, des Sohnes Peter in Costa Rica von Vinzent Lachner, „Los Macabeos“. Torah u. Mizvah - 2nd edition. "Gebetbuch für Israelitische Gemeinden: nach dem Ritus der Haupt-Synagoge zu Frankfurt-am-Main" - das in einigen Synagogen eingeführt wurde und ein Religionsbuch für die israelitische Jugend war. 18 Mar 1860 letzte Abschiedsrede in "deren Andacht-saal"
Inauguration of the new Frankfurt Main Synagogue on Friday 23 March 1860 [ see 11031860.html ] "Einweihung, welche imirz haschem“ [ hebr. so Gott will ] nächsten Freitag über acht Tagen stattfinden wird"
Rabbi Leopold Stein is found guilty of defaming the Bavarian State and sentenced to 6-weeks imprisonment + fines. Mein Dienst-Verhältnis zum isralitischen Gemeinde-Vorstände zu Frankfurt am Main - Begründung von Rabbiner Leopold Stein zu seiner Amtsniederlegung Dargestellt "
Founded Maedchenschule -school for girls – Internat in Frankfurt, Blittersdorffplatz ["auf hohem Niveau stehende"] Eslewhere [The Leo Baeck Institute Year Book, Volume 27, Issue 1, 1 January 1982, PP. 261–279, [ https://doi.org/10.1093/leobaeck/27.1.261 Published: 01 January 1982 ] the address is given as Höhere Töchterschule und Erziehungsanstalt. Pensionat Stein, in der Mainzerlandstrasse 47, Frankfurt. Er reicht einen plan fuer eine Dissertations-Arbeit "Mein 'Keser-Malchuss', das eine lange Vorrede, resp. Abhandlung über jüd. Sternkunde & Astrologie, mit sehr interessanten Notizen enthält" an der Universitaet Goettingen ein. Promotion zum Dr.phil in Tuebingen ohne eine eigene Dr.arbeit, sondern "nur" auf Antrag, ohne Praedikat, nach Einreichung eines Jahrgangs des "Israelitische Volkslehrer" und der Übersetzung der "Koenigskrone". seine Freunde und Anhänger taten sich zu einer »Westend-Union-Gemeinde" (vor allem Deutsch-Amerikaner) zusammen, in der er als Prediger wirkte. Siehe auch artikel von E. Wolff: "Ankunft in der Moderne: Aufklärung und Reformjudentum"
gekleidet – schon ein deutsches Buch in Händen. „Memento !“ : Denkmal der Liebe in Liedern ; geweiht dem Andenken einer schönen Seele ; zur Erinnerung an meine verewigte, in ihrem 20. Lebensjahre verstorbene unvergeßliche Schülerin Clementine v. Rothschild / von Leopold Stein. Mainz : Gottsleben, 1867. 24 S.
Became Preacher at the "Westend-Union" - a congregation of mainly German-American Jews returning from the USA, headed by the banker Henry Seligman. „Der Kampf des Lebens „, Ein Cyclus von Festpredigten in Beziehung zu dem grossen Völkerkampfe der Gegenwart, gehalten am Neujahr, Versöhnungstag & Freudenfest (5631-1870) im israelitischen Betsaale der "Westend-Union" zu Frankfurt am Main. It was during this time that the first parts of his most well-known work appeared, "Torath Chaim" Die Schrift des Lebens: Inbegriff des gesamten Judentums in Lehre, Gottesverehrung, und Sittengesetz; the final part of this work did not appear until after Stein's death. Some of his sermons were also published. After retiring from the school, Stein spent his final years concentrating on his writing. "Aus dem Westen“: neue Predigtsammlung der Westend-Reformgemeinde. Gruendung des Clementine-Kinderhospital mit Weihrede von Rabbiner Dr. Leopold Stein, Rabbiner der radikal-reformistischen, hauptsaechlich aus Amerikanern bestehenden "Congregation Emanu-El" am Blittersdorfplatz. Professor. Mit Einführung und Erläuterungen von Dr. Leopold Stein. Frankfurt am Main 1882. Die an seiner Bahre gehaltene Leichenrede von dem sel. Rabbiner Pr. N. Brüll ist abgedruckt in Brüll’s Pop. Wiss. Monatsblättern Jahrg. 11, S. 22. STEIN, LEOPOLD (AUSGEWÄHLT UND WIEDERGEGEBEN) Morgenländische Bilder in abendländischem Rahmen: (Talmusische Parabeln, Gleichnisse und Erzählungen) [sic]. Frankfurt am Main: Franz Benjamin Auffarth. 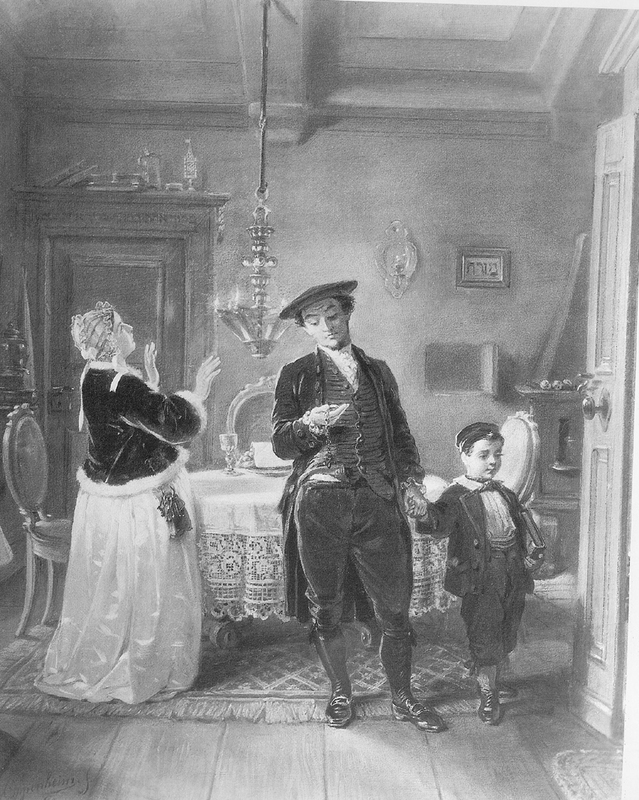 "Rabbi Akiba und seiner Zeit“ published in Berlin, Louis Lamm.